Mac and Cheese made from scratch is a million times better than a box. 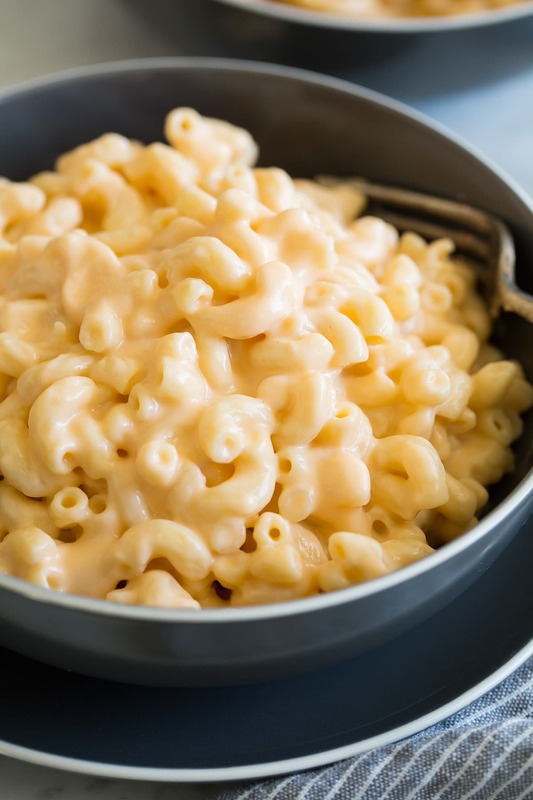 This macaroni and cheese is perfectly rich and creamy and it's sure to be loved by people of all ages! This version is made on the stovetop and uses basic everyday ingredients. Macaroni and Cheese Recipe Mac and cheese is just one of those staple recipes we all grew up eating. The version skips a powder and instead uses real shredded cheddar, mozzarella, and cream cheese for a rich and satisfying flavor. It's total comfort food and it pairs well with just about anything. It's easy enough for weekday dinners but good enough to serve at holiday get togethers. Here's my go-to mac recipe.